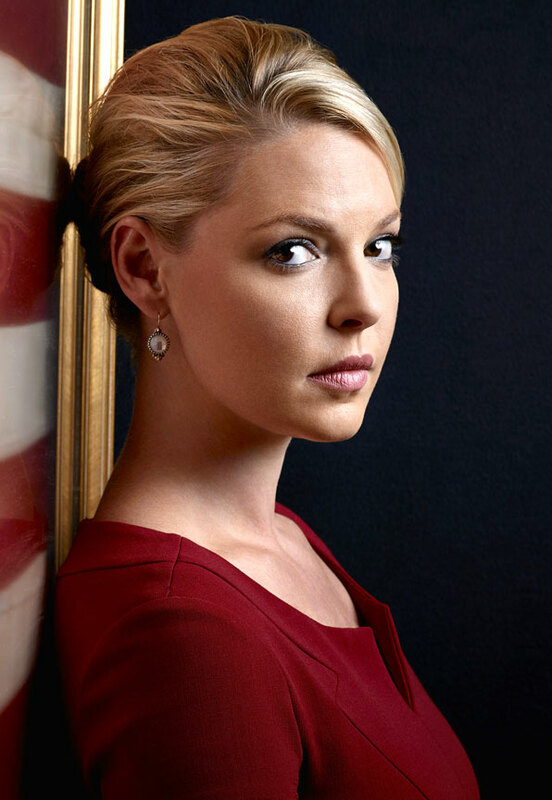 With all the “hate” Katherine Heigl seems to attract, I can’t help feeling a little sorry for her sometimes… but my sympathy was severely tested when I saw her doing a watered-down Claire Danes/Carrie Mathison impersonation in a new “espionage thriller” series called State of Affairs. A lot of screenwriting books insist that your central protagonist should have some sort of serious trauma in their past, which will then motivate or explain their behaviour in the present. A good show in this genre would be satisfied with having their heroine witness the slaughter of a group of aid-workers and soldiers first-hand… a cheesier show might make one of those victims a relative or lover of the heroine… but only a truly terrible show would also make her dead fiancé the son of the current President of the United States, who the heroine works with every day in her capacity as a go-getting CIA analyst! GAH!!! It was also implied in the final scenes that Heigl’s character might have been partially responsible for the attack that killed her hubby-to-be, or possibly in league with the Big Baddie behind it… so I’m guessing she’s a double-agent tasked with spreading a weaponised strain of cooties across America via drunken bar-room hook-ups. No? Maybe not. Aside from all that, it was just really boring and silly… especially the subplot about a spy trying to sneak a large mobile phone into the White House by hiding it under his hat! And he’d already used the same trick to sneak it into CIA headquarters, without anyone noticing!! SERIOUSLY!!! Incidentally, the writers decided to name her boss at the CIA “Director Skinner”, because they’ve never heard of a little show called The X-Files! Feh! This entry was posted in Rants about TV and tagged Katherine Heigl, State of Affairs. Bookmark the permalink.